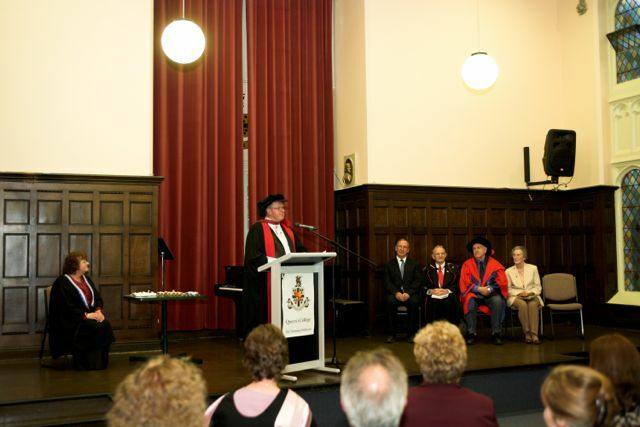 The College’s Diploma Courses were developed in Australia on sound education and learning principles. They were written by a team of at least eighteen experienced celebrants, some of whom have been in this profession for over thirty years. Australian celebrants were an essential part of establishing civil celebrancy in New Zealand. And graduates of the Australian College of Celebrancy, now the International College of Celebrancy, established the USA Celebrant Foundation. In Australia by 2013, 70% of all weddings and 80% of all funerals were conducted by civil celebrants. With clients, the starting point for all civil ceremonies is secular, though many religious people choose a civil celebrant because of the totally personal nature of the ceremony. None of this can be done well without thorough and proper education and training. A more detailed explanation of each Diploma is given on its page. Master of Celebrancy – studied by negotiation with the college. The Dean of Studies, Dr Chris Watson, addresses graduands of the International College of Celebrancy at a Graduation ceremony in Queen’s College, at the University of Melbourne. Module 8 -Values, Ideal and Spirituality. Once all eight Modules (i.e. after all three Diplomas plus Modules 7 & 8) are passed – the student attains the Graduate Diploma of Celebrancy. Beautiful summary of Diploma Courses – by Deborah Roffey, our Registrar for Diplomas. original research and study set by the faculty and approved by the Advisory Board of Studies. Celebrant Sue Frost is the only person who has ever completed this qualification. A listing of the Modules and links to fuller descriptions of each is found at The Modules. Enrol now — Contact us!